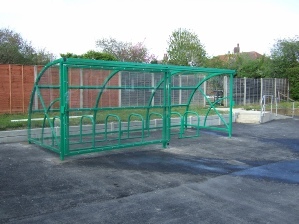 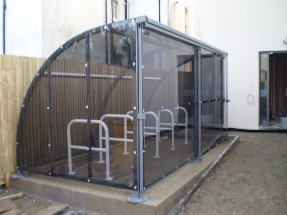 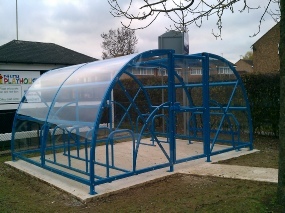 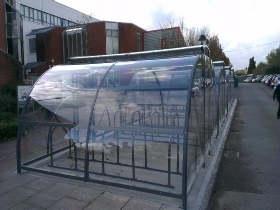 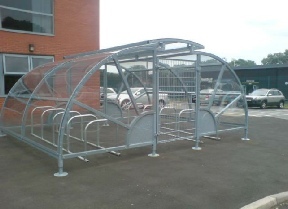 The compound design gives far more cycle security and can be fitted with lockable gates or sliding doors. 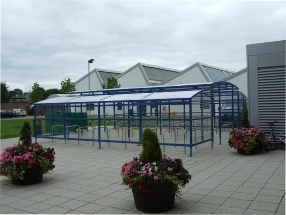 The gates and sliding doors can be locked either open or closed when necessary. 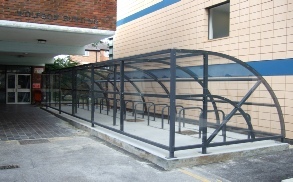 These are different locking methods witch can be use from a simple pad lock, key code lock,and swipe card entrey. 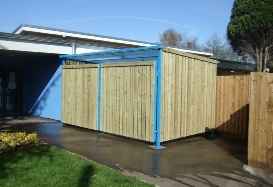 Again they can be installed in any number of modular units to accommodate whatever your capacity or site requires.